FLORENCE – The Pinal County Sheriff’s Office says its jail commander has resigned and a sergeant has been placed on leave after allegations against them. Jail commander Joe McAuliffe was placed on leave July 1 during a review into allegations of deception and failure to disclose pre-employment information. McAuliffe gave two weeks’ notice Friday that he would resign, but Sheriff Paul Babeu accepted the resignation effective immediately. The Maricopa County Sheriff’s Office is investigating an allegation of possible criminal wrongdoing against Gillen. A Minnesota grand jury indicted an Arizona corrections officer on Monday on charges of first- and second-degree murder. 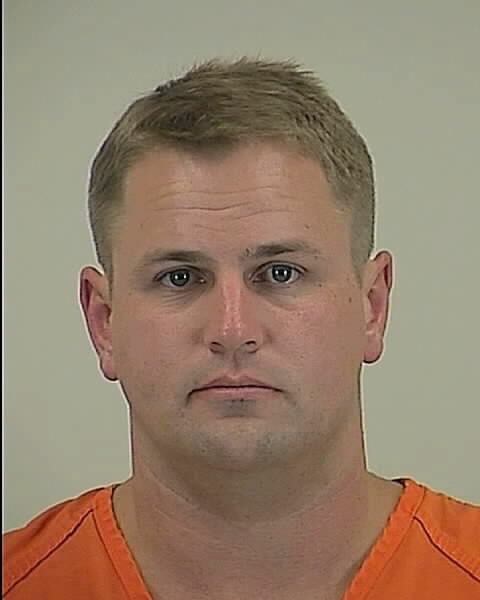 34 Year Old Andrew Lemcke is accused in the 2004 shooting death of his wife. The Web site for the Pinal County Sheriff’s Office in Florence, Ariz., says he was arrested on Sunday. Other court records say Lemcke had been living in recent years in Florence, where he had worked at a Corrections Corporation of America facility. Nichole Riley-Lemcke was shot Sept. 12, 2004 at her Appleton, Minn., home. Andrew Lemcke has described the shooting as accidental. Riley-Lemcke’s parents had been pressing authorities to file criminal charges, and they filed a wrongful death suit against Lemcke him last year. A 39-year-old Coolidge man was arrested last week by the FBI on charges of trying to bring cocaine into a Corrections Corporation of America prison here. Juan Nunez was charged with attempted provision of a prohibited object to an inmate and possession of cocaine with intent to distribute. Nunez has been a corrections officer at CCA’s Central Arizona Detention Center. The CCA facility houses inmates for the federal government. The criminal complaint alleges that since Oct. 30, Nunez had been negotiating with an inmate to bring cocaine into the prison from an outside source on the inmate’s behalf. On Nov. 6 he met with an undercover FBI agent acting as the outside source. During the meeting, Nunez accepted half an ounce of cocaine for the inmate and a $1,600 payment for agreeing to smuggle the cocaine into the facility. Nunez was arrested after he took the cocaine and money. At his initial appearance Friday in federal court in Phoenix, Nunez was held over for a detention hearing set for Monday. A conviction for trying to bring a prohibited object to an inmate in this case carries a maximum penalty of 20 years in federal prison, a $250,000 fine or both, and a conviction for possession of cocaine for sale carries a maximum penalty of 20 years in federal prison, a $1 million fine or both. In determining an actual sentence, the judge ultimately assigned to the case will consult the U.S. Sentencing Guidelines, but is not bound by those guidelines in determining a sentence. The investigation is being conducted by the FBI, the U.S. Marshals Service, the Marana Police Department, the Tucson Police Department and the Maricopa County Sheriff’s Office. Frederick Battista, an assistant U.S. Attorney, District of Arizona, is the prosecutor. A Pinal County adult detention officer charged with 18 counts related to defrauding inmate funds in September was reprimanded for mishandling the same funds nine months before his arrest, according to internal documents. In a letter of formal reprimand, Sgt. Amado S. Martinez indicated he did not correctly transfer money between inmate fund accounts at the Pinal County Detention Center in Florence in June 2007. Martinez also admits the documentation problem was ongoing, yet he failed to contact a supervisor to correct the issue, the document states. Martinez was arrested on Sept. 19 and faces charges that include fraud, forgery, identity theft and computer tampering. A Superior Court indictment accuses Martinez of forging checks and using inmate funds without authorization from the department between the end of March and the beginning of April this year. The total amount of money missing from the funds has yet to be released, but one charge is more than $3,000. On the day of his arrest, Martinez was released on $100,000 bond, said Pinal County Sheriff’s Office spokeswoman Vanessa White. Martinez will face his first pretrial hearing on Nov. 12, according to Kostas Kalaitzidis of the county attorney’s office. Martinez was hired by PCSO in 1990 and promoted to sergeant six years later. During his employment with the adult detention center, Martinez faced a range of disciplinary actions. His Pinal County personnel file notes that he required a counseling session from a supervisor in 1999 to remind him to receive approval before taking time off or altering his weekly schedule. Less than three years later, Martinez violated the Pinal County code of officer conduct in November 2002 after he was arrested on suspicion of DUI in Chandler. The arresting Chandler officer said Martinez showed several signs of intoxication, including watery, red eyes, alcohol on his breath and having difficulty standing, an arrest record says. His blood-alcohol content was also over the legal limit following the results of a blood test and a separate breath exam. A month after his arrest, Martinez was convicted on a lesser charge of misdemeanor reckless driving and received a $460 fine. In 2006, he was suspended for one day without pay. A detailed report of Martinez’s charges leading to the suspension could not be found in his records. Two corrections officers with the Sheriff’s Department were arrested Thursday on charges of computer tampering. Keith Anthony Doty and Sameer Ibrahim Qasem were being investigated by the Federal Bureau of Investigations when they were arrested. It’s not clear what specifically was tampered, but the Pima County Sheriff’s Department says agents from the FBI made the arrests after search warrants were served. The FBI obtained search warrants for Qasem’s home and work locker. Qasem is charged with 26 counts of computer tampering. Doty is being charged with eight counts of computer tampering. A 53-year-old sergeant in the Pinal County Adult Detention Facility was arrested early Friday on charges he committed fraud while on the job, authorities say. Amado S. Martinez of Florence was taken into custody by sheriff’s deputies and faces 18 felony charges – 10 for forgery, three for fraudulent schemes, two for identity theft and one each for theft, computer tampering and unlawful possession of an access device, according to a booking record. Details of what led to the indictment, which was issued Thursday, were not available Friday from either the Pinal County sheriff’s office or attorney’s office. The case remains under investigation by county prosecutors, according to sheriff’s spokesman Mike Minter. In the indictment, Martinez is accused of issuing, reissuing or voiding checks from the Pinal County sheriff’s office inmate funds and cashing them.The office also discovered 10 forged signatures on checks that may have been from Martinez, the indictment states. The indictment also says Martinez altered inmate records within PCSO computer programs and obtained computer log-in information that was not his own.